I haven't posted any pics in quite a while, but after the Paladin hit the shelf, I figured it was time! Nice collection. Is that an ivory Bob Quinn E7 to the left of the Paladin? (05-08-2017, 11:58 AM)TheLegalRazor Wrote: Nice collection. 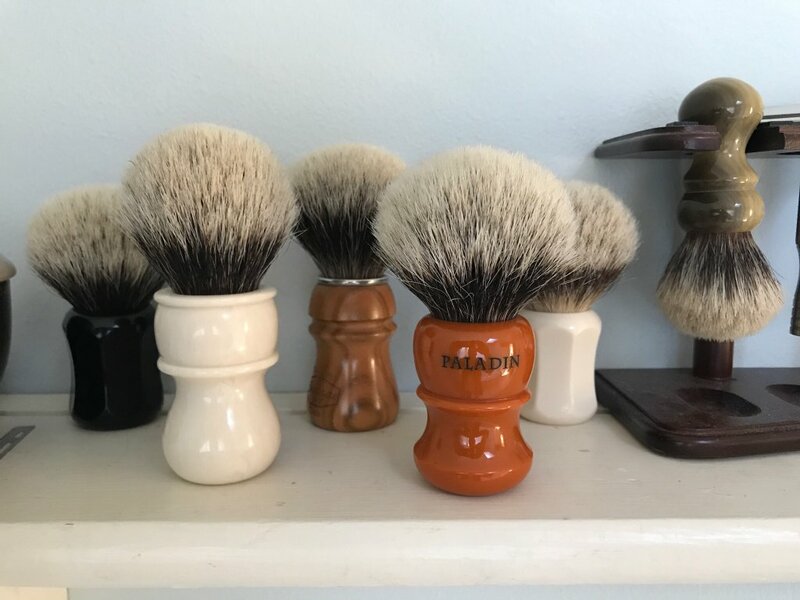 Is that an ivory Bob Quinn E7 to the left of the Paladin? Excellent line up. I especially like that Semogue SOC hiding in the back. Incredible brush imho. 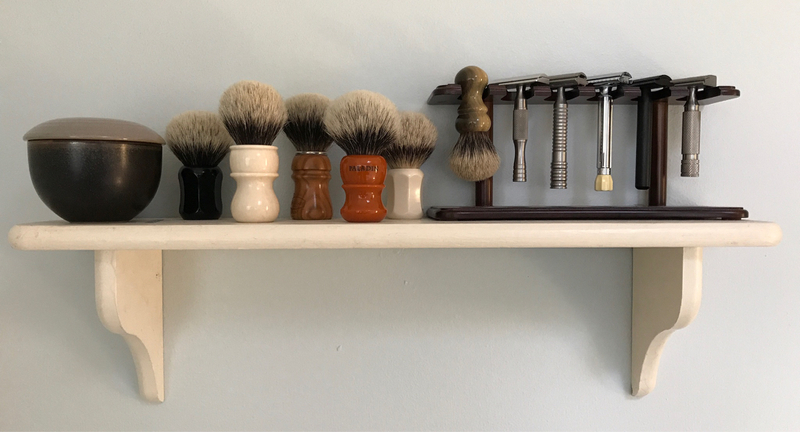 How do you choose the razor .... or the brush? Excellent assortment! I like the diversity. Where is the stand from? Would love to pick one up. 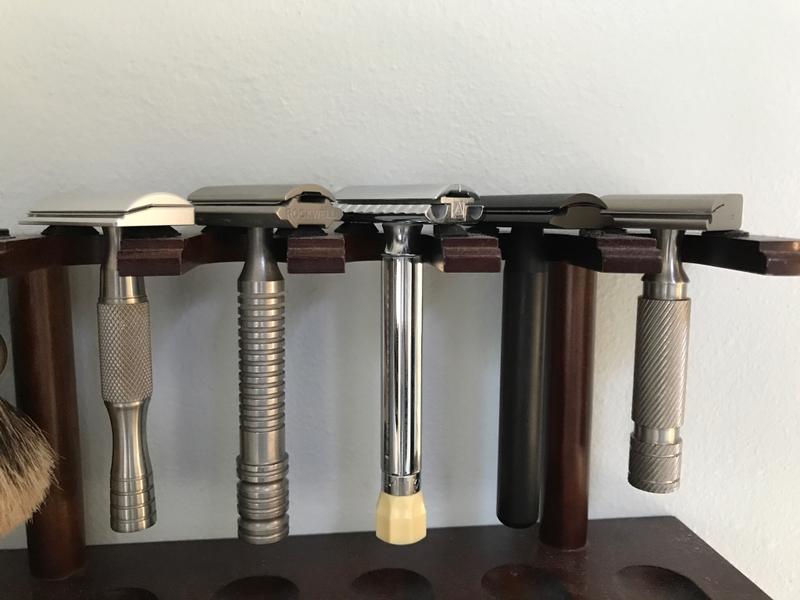 What's that razor on the far right? Looks like an SE? What handle? (05-08-2017, 06:24 AM)Stubble Daddy Wrote: Hey guys. What handle is that on the Rockwell ? Didn't see the picture clearly...No 2 is Rockwell and handle does look cool.